The Fiat 850 Spider was first released to the motoring public in 1965, sporting flush headlights (incidentally the exact same units as used on the Lamborghini Miura) and a rear-mounted 843cc 49hp inline-4. 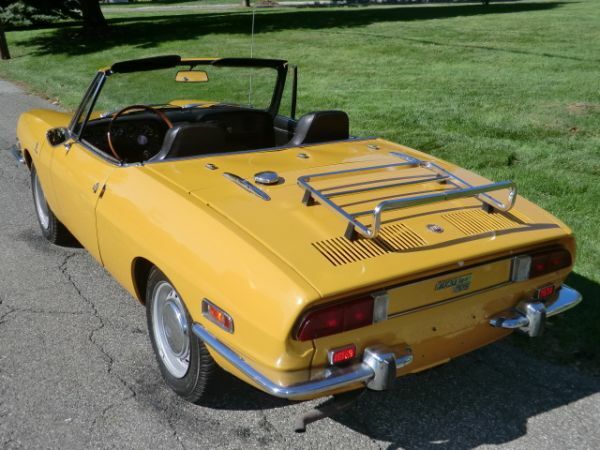 They weren’t quick, but they were charming: their sleek Bertone lines appealing to masses of Italians and Americans alike looking for something a little more modern and stylish than the same old MG and Triumph roadsters. It didn’t hurt that it looked like a baby Ferrari, either. 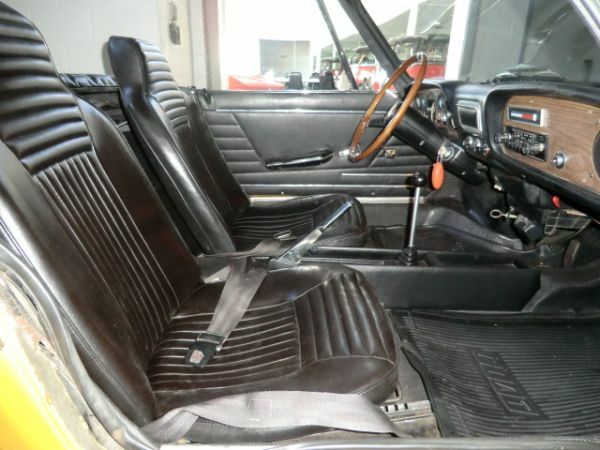 The interior was equally sporty, if spartan even by contemporary standards. There was a nice array of gauges to monitor all of the little motor’s vital signs, along with basic accoutrements including windshield wipers, lights, choke, heater, and even an ashtray. A radio was optional, but provisions for it were made underneath a DIN-sized Bertone badge in front of the passenger. The seats were buckets, more often than not covered in black vinyl, and were remarkably supportive. Despite the 850’s diminutive proportions, the interior was actually quite roomy. There were times whan as a young family my parents, my sister, and I all crammed into the Fiat for errands. It wasn’t ideal, and you had to remove the steel cover for the convertible top, but it could be done. Granted my sister and I were both under 4.5 feet tall and under 60 pounds at the time. The 1968 model year brought a few changes: first, thanks to the USDOT safety police, Fiat changed from the sleek, flush headlights to more conventional sealed-beam units. They also dropped-in a bigger 903cc motor, now producing a whopping 52hp. The car would still barely top 90mph, but thanks to the noise it made and the fact that it was so low to the ground, 90 felt like about 150 in the 850 Spider. Ride height up front was also higher than designed for US cars, ostensibly to be safer in a crash. 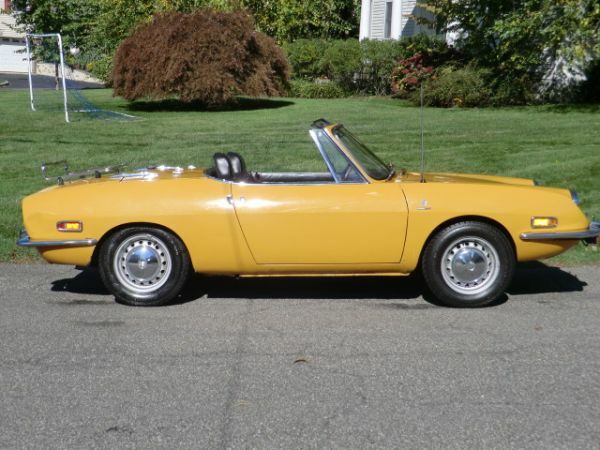 I’m not sure that would have been a compelling reason in my book, but I have to say that a high school buddy of mine had a yellow 850 spider that was T-boned by a Subaru, and he walked away. I’m just saying..
All 850 spiders came with a 4-speed manual transmission whose shifting action was a little vague when you first got behind the wheel, but which was also quite easy to master, as was matching revs on the downshifts and upshifts in order to extract the absolute most out of the little engine that could. 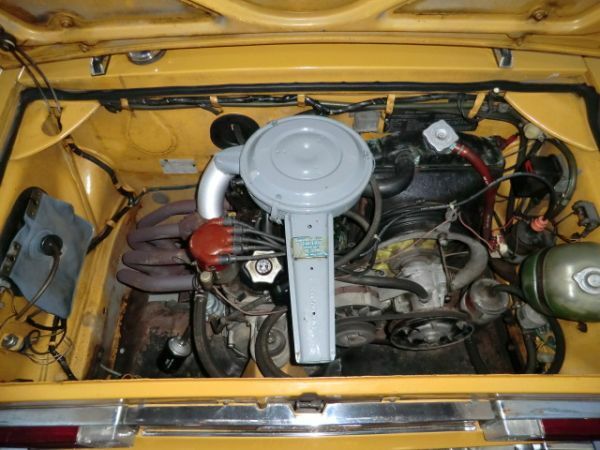 The rear-mounted engine is fabulously easy to work on, and can literally be picked-up and carried over to a workbench for servicing with the removal of a few electrical connectors, the throttle cable, and the transmission bolts. I had an 850 bought in the late 1990s and actually completed an engine swap – with my Dad’s help – in an afternoon. The 850 Spider’s looks are love ’em or hate ’em. I’ve always thought the front overhang was a few inches too long, but I love the way they drive. It’s a step-up from a go-kart, but a small step at that. Still, they are a civilized sports car for leisurely bombing around your favorite backroads. Mediocre 850s still fall onto our Disposable Sports Cars list, but a nice one like this deserves a little better, and we expect these to slowly but gradually increase in value. 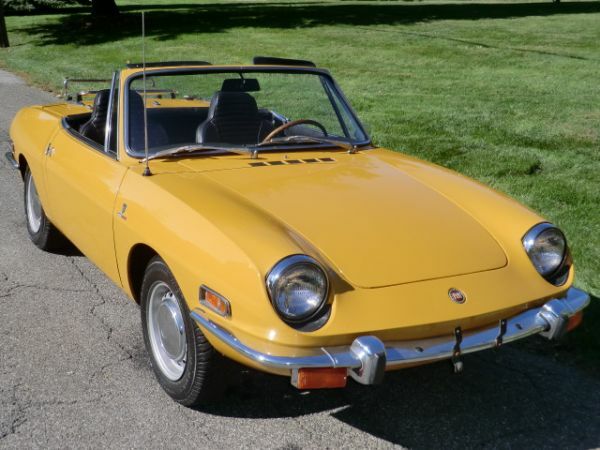 Fiat may have built over 100,000 850 Spiders between 1966 and 1973, but few remain today, and far fewer this clean. 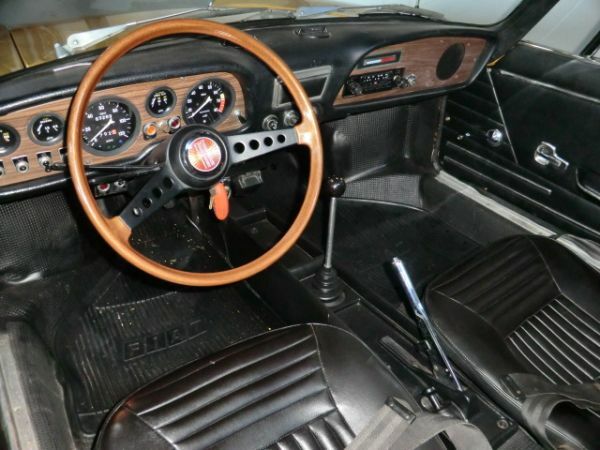 Someone in the market for a Sunday driver that can double as a conversation piece would be hard-pressed to do better than this, and I’ll bet you don’t lose a dime in ownership unless you do something really stupid. This entry was posted on Saturday, January 12th, 2013 at 11:01 AM	and tagged with Austin Healey Sprite, Bertone, Cheap Sports Cars, Ferrari, Fiat 850, Italian Cars, Mazda Miata, MBG, MG Midget, Triumph Spitfire, Triumph TR3 and posted in Disposable Sports Car, Totally That Stupid. You can follow any responses to this entry through the RSS 2.0 feed. Reed, you should buy it. Given that 4 cars is nominally your limit and 5 is too many, you should note that this won’t actually get you all the way to 5 – just maybe four-and-a-half. Or maybe only 4.3…. If you buy it, I still have my oil plug wrench from mine, I will give you. You know they did not have oil filters, never figured that one out! Reed — this car was savaged on Bring a Trailer. my first car in 1976 was an 850 sprt coupe, and ive owned a coupe or spider ever since.